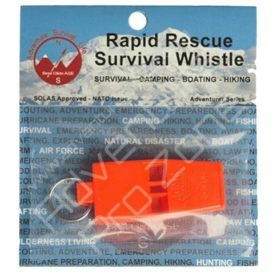 ACME Tornato Rescue Survival Whistle – Used by NATO troops and SOLAS Approved, this is a loud, compact and durable emergency whistle. 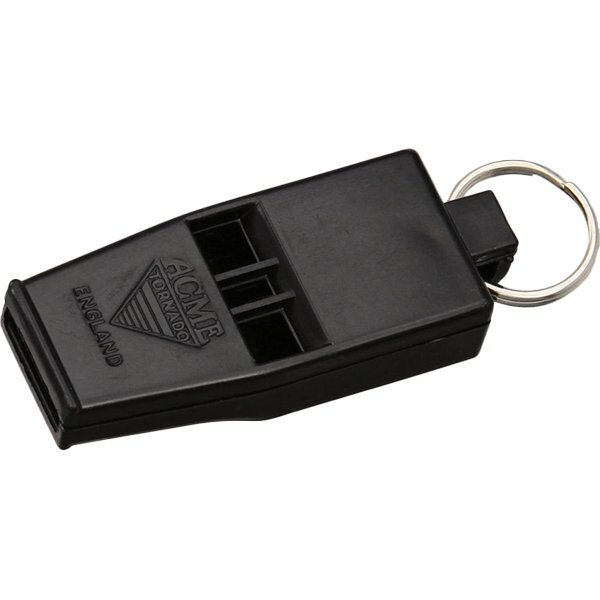 ACME Tornado Rescue Whistle is a loud, 117 dB, long distance signal device suitable for alerting help. 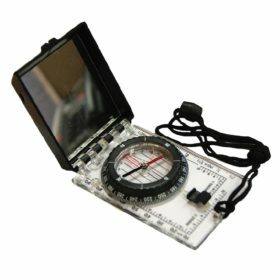 A survival whistle is a necessary item for adventurers and is added security for families while hiking, camping, boating, or just enjoying the outdoors. The ACME Tornado Whistle is louder, more compact and more durable than most survival whistles. 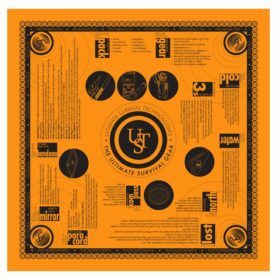 It is available in Black or Orange colours. 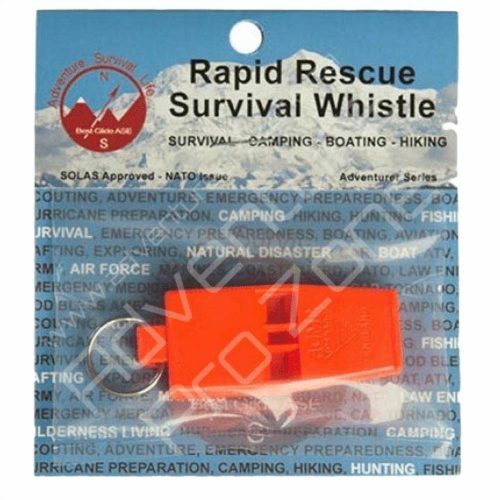 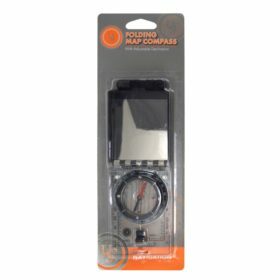 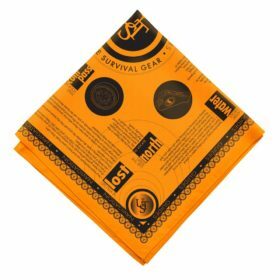 This survival whistle is SOLAS approved and NATO issued. The whistle is made in England. 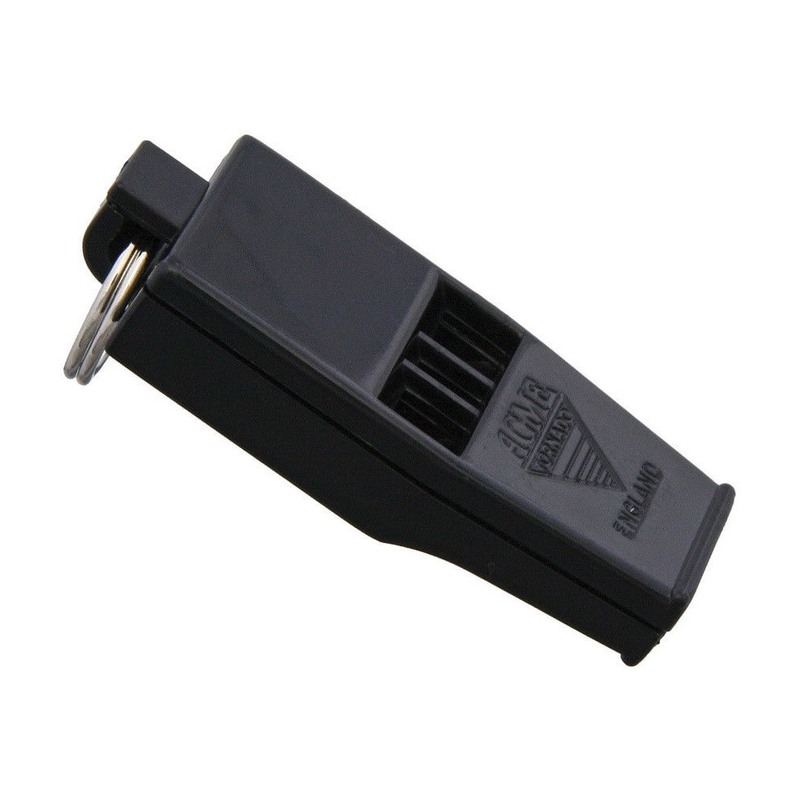 Other Info: Used in FIFA Internationals, F.A. 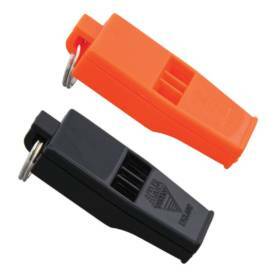 & Champions League Matches FIMBRA & FINA Matches. Two high pitch frequencies for loudness close to the whistle and a lower pitch for distance all sound simultaneously.